Upon installation, we review all of the key Visa and MasterCard rules with the management at each facility. We provide management with signs for the facility and decals listing key merchant information including customer service numbers. This type of training is essential in contributing to a smooth transition, providing you and your staff confidence in handing off an essential piece of the project. At NPS, we recognize and strive to get the installation complete and correct the first time. Because of our success with numerous parking clients of all sizes and our focus on the industry, we are the leading processor for parking in the United States. Our many years of experience in working with numerous parking facility clients nationwide assures you of a seamless transition. We have two separate and distinct US based service departments. Our Help Desk offers technical support 24 hours a day for any equipment, software or transaction related issues. Our Customer Service department is available during regular business hours to service statement, reporting and banking questions. They also provide chargeback assistance. A member of our team will assess your business and the way you currently accept payments and provide you a proposal catered to your individual business needs. NPS will provide a dedicated team to assist in the transition. The NPS Relationship Management Team is copied on every single service call made by your company. This open communication is invaluable in providing big picture overview for the team that manages your account. This element of customer service is unique to the payment solutions industry. Brian Langston joined Nationwide Payments in 2006 and has been the Director of Operations of the Boston division since 2011. Mr. Langston received his Bachelor of Science in Management from Bentley University in 1998. He came to Nationwide with 6 years’ experience in the merchant services field and has worn many hats during that time. He serves the team as an office manager, sales team manager, accounting manager as well as many other titles including the day to day operations of the Nationwide Payments – Boston office. An avid Boston sports fan, he enjoys rooting for the Red Sox, Patriots and Celtics as well as playing softball and Golf. Coaching Little League Baseball and going to the Cape in the Summer are other passions of his. Brian lives in Newton, MA and enjoys spending time with his wife Beth and son Chase. Peter Thiemann joined the Parking team at Nationwide in 2009. 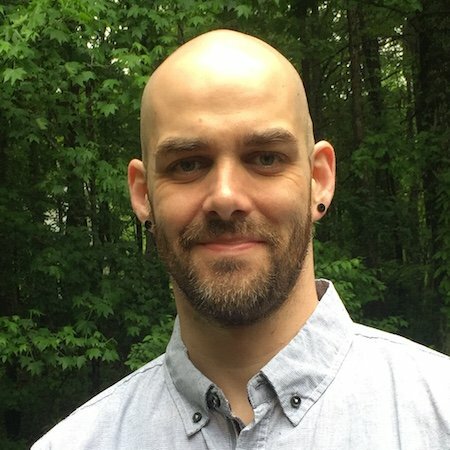 Thiemann came with over 7 years of payments industry experience, where he worked for a larger acquirer in Atlanta, Ga, serving various roles in sales and team leadership. Thiemann received a Bachelor degree in Business & Telecommunications Management, from DeVry University. During his time at Nationwide, Thiemann has enjoyed serving and supporting clients in numerous industries, with a core focus in the Parking Industry. In his spare time, Thiemann enjoys spending time with his family, and when he is really lucky, he climbs big mountains, plays tennis, cycling, travels, and is connoisseur of fish tacos and dark chocolate. Thiemann resides with this wife, two daughters, and two dogs, in Sarasota Florida. 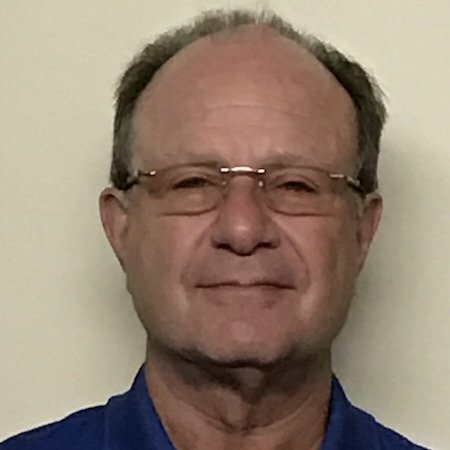 Michael Baron began his career in credit card processing in 1991 just two years after the advent of electronic processing. He founded the Nationwide Payments Parking Division in 2004. He previously served as the president of the largest firm in the interior landscaping industry. 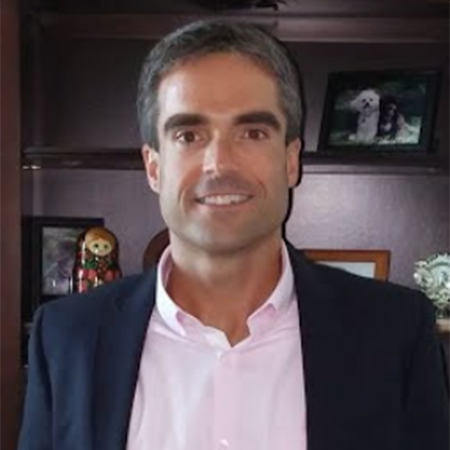 Baron received his Bachelors of Science from University of Pennsylvania, Wharton School of Business, where he majored in Marketing and Finance. For leisure, Baron enjoys biking, tennis, and cheering for his hometown sports teams, the Boston Celtics and New England Patriots. However, his very favorite time to relax is when he is captaining his own motor yacht. Baron resides in southeast Florida with his wife, Leslie, and is the father of two grown sons and a stepdaughter. 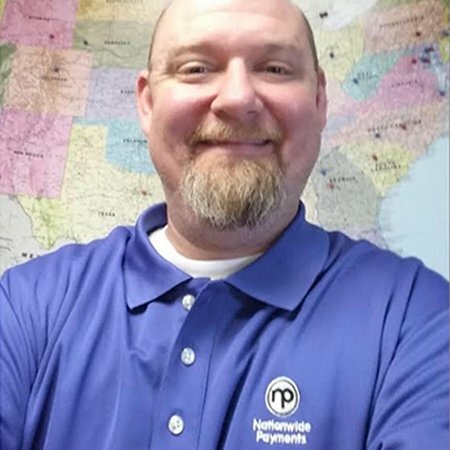 Mike is a Product Manager with Nationwide Payments and has been in the electronic payment industry since 1999. Since starting in electronic payments two constants for Mike have been the belief that things are better done right the first time and customers stay because of service and relationships. Mike has worked in nearly all areas of technical service from taking calls on the helpdesk to managing the technical service department. Because your life is not defined by a single aspect of you or your work but by the whole of who you are Mike takes lessons from all areas of his life and finds the threads that link them. This is one of the reasons is he is a valuable resource. Outside of payment processing Mike has also worked in construction and volunteered in prison and youth work. He currently lives outside of Atlanta Georgia. Nationwide Payments provides electronic payment processing services to over 22,000 merchants nationwide. We specialize in the parking industry providing services to over 1000 parking facilities. We have been endorsed by numerous parking equipment manufacturers and parking management companies across the United States because we know the intricacies of parking, we are very pro-active in managing projects to avoid problems and we provide the highest level of customer support in the industry. We currently provide processing for hundreds of locations through our direct integration with the most sophisticated POS systems available. This experience, coupled with direct communications with key contacts at the various manufacturers of POS systems translates into a more trouble free installation as well as immediate response should there ever be a problem. NPS has the unique flexibility of using 4 different networks. This allows us to integrate with virtually every POS system. Other processors do not provide this functionality or have the flexibility of networks. This allows us to provide our customers with the most cost efficient solution. To be perfectly clear, integration with some of the older SkiData systems can present problems especially from a cost standpoint as they seem to charge the most of any manufacturer for either credit card set ups or processor conversions. It is fairly rare that we need to employ a gateway, but when we do, our cost is 5 cents vs. the 6 cents you are currently paying. Also, we charge the gateway fee on your regular merchant statement which means one less reconciliation for your staff. We offer a robust monthly parking program as a complement to your POS system. We store all sensitive credit card data on our secure system, eliminating PCI concerns for our customers. For repeat customers with varying payments such as valet clients having the data stored on our secure website means far less keystrokes for your staff and assures you that all of the fields will be populated so that transactions do not downgrade. Nationwide Payments incurs the same interchange rates as all other processors. Our low overhead enables us to offer lower rates to our parking clients. Through our web interface and monthly parker program, our customers are able to enjoy Level II and Level III data capture which ensures the lowest interchange rates possible. We can help you to achieve lower rates on your American Express transactions as well as eliminating the per transaction deduction of fees. Most clients find this makes reconciliation more difficult than monthly deduction. We are experienced in all aspects of the parking industry from basic manual systems to state-of–the-art pay on foot stations. This experience allows us to both predict events and avoid problems. We monitor each project to be sure that we have the programming you need. Our attention to detail and outstanding customer service are some of the reasons for our exceptional customer loyalty. We offer online reporting, acceptance of all major credit and debit cards, direct bank account ACH services and electronic funding to your local bank account in two business days. You have only one number to call for all of the above services and one single bill which makes reconciliation easier. We have two separate and distinct US based service departments. Our Help Desk offers technical support 24 hours a day for any equipment, software or transaction related issues. Our Customer Service department is available during regular business hours to service statement, reporting and banking questions. They also provide chargeback assistance. LA County will appreciate the quick response and attention they receive. © Copyright - Nationwide Payments | All Rights Reserved.